What is programmable logic controller tutorial? 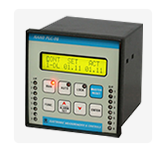 A programmable logic controller is called as a digitally operated electronic system. It is mainly designed to apply in an industrial environment. This tutorial covers various concepts like logic sequencing, timing, counting and arithmetic to control etc. This tutorial offers an in-depth overview into programmable logic controllers (PLCs). Target audience will be industrial electrician or electrical engineers who want to learn PLC concepts. To learn this tutorial one should have a basic knowledge of Logical controllers. It covers about analog input function, analog output functions, the distributed control (fieldbus) interface, digital inputs and outputs (I/Os), the CPU, and isolated power.